30-inch (0.76-m) f/6 Carroll telescope - observer, film and exposure information unknown. 30-inch (0.76-m) f/6 Carroll telescope, Apogee AP8p CCD camera, Steve Brewster, 60 seconds exposure. Click on image for full size image. This Image was obtained on the Carroll telescope by Sara Martin and Pam Sable using an SBIG ST6 CCD camera. This somewhat condensed globular has a planetary nebula called Pease 1 located near M-15's core. A number of supernovae have been recorded in this cluster and it possess the third greatest number of variable stars in any globular cluster. The core of M-15 is thought to have undergone an event called core-collapse whereby the extremely dense core may have formed into a "black hole". 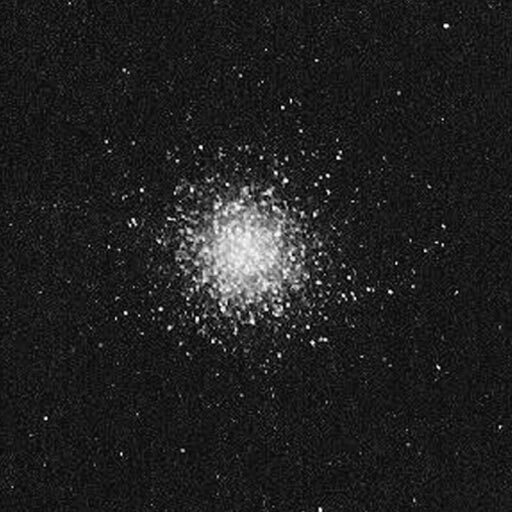 Brian W. Murphy of Butler University has written a story of the details of M-15 and globular clusters entitled A Thousand Blazing Suns: The Inner Life of Globular Clusters. It can be read here courtesy of the Astronomical Society of the Pacific. Located in the constellation Sagitta, M-71 appears to be less condensed than some of the other examples of globulars on this page. 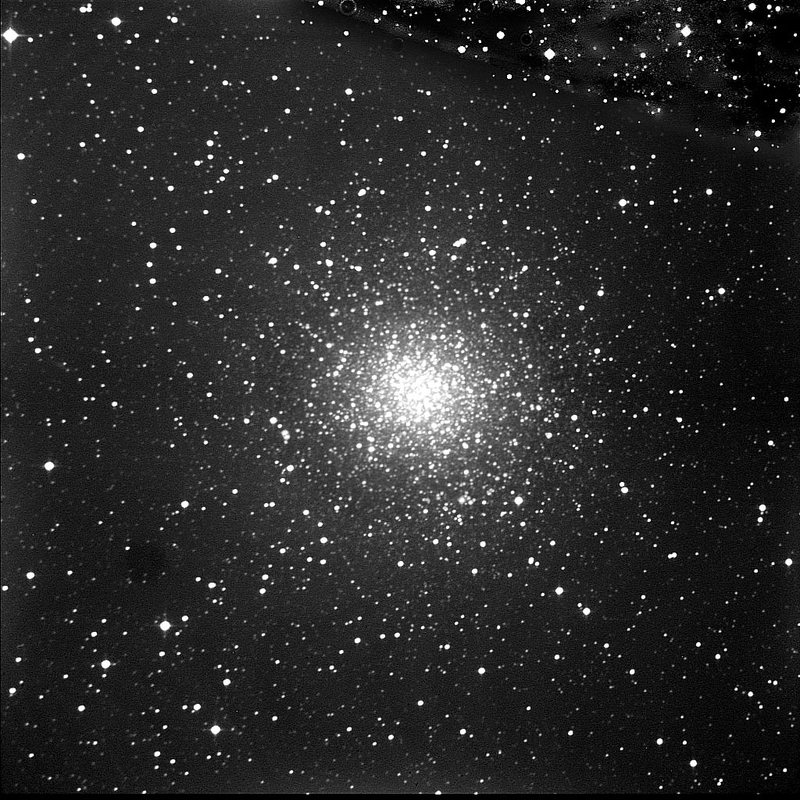 Globular star clusters are classified by this difference and are designated with the Roman numerals I (most highly condensed) to XII (loosely condensed). 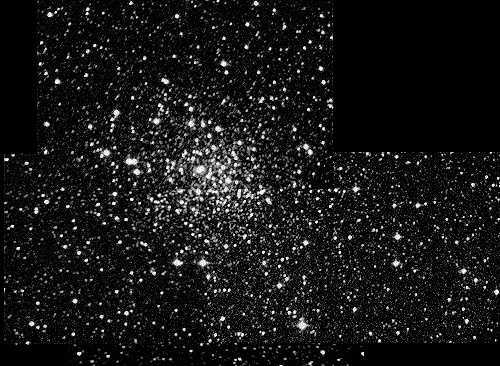 The class for M-71 is undetermined, but probably higher than IX. M-13 is class V, M-14 = class VIII, M-15 = class IV. This image is a mosaic of 4 CCD frames of 30 seconds' exposure each. Steve Brewster used the 30-inch ( 0.76-m) f/6 Carroll reflector + SBIG ST6 camera.